Enraged Skeletons are faster and stronger versions of regular skeletons. 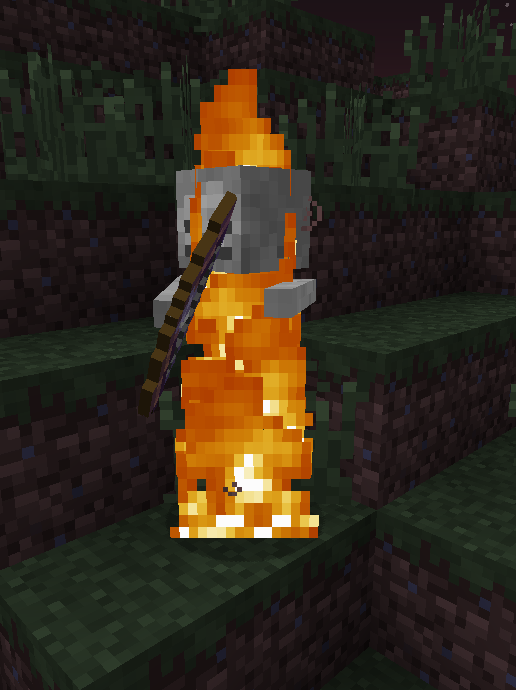 Enraged Skeletons have higher attack and defense, are immune to fire, and are on fire. Enraged Skeletons do NOT take damage from sunlight, making this foe a bit more challenging. Enraged Skeletons will spawn in the same light levels as regular skeletons, but are slightly more uncommon with a higher chance to drop their Heads. Marlix will often spawn Enraged Guardians to assist itself in battle. Enraged Guardians are similar to Enraged Skeletons, but will not drop anything when slain. zombieslayer010, Todd_Vinton and Gadget_AD like this.